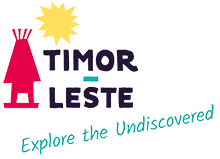 Dive Timor Lorasae offers PADI accredited dive courses from introductory to dive instructor level and daily guided diving and snorkelling trips. Their main dive sites are the coastline around Dili from Maubara in the west to Manatuto in the east and Atauro Island. They offer both shore and boat based diving options. In Dili they have a dive centre and guest house and apartment accommodation available.